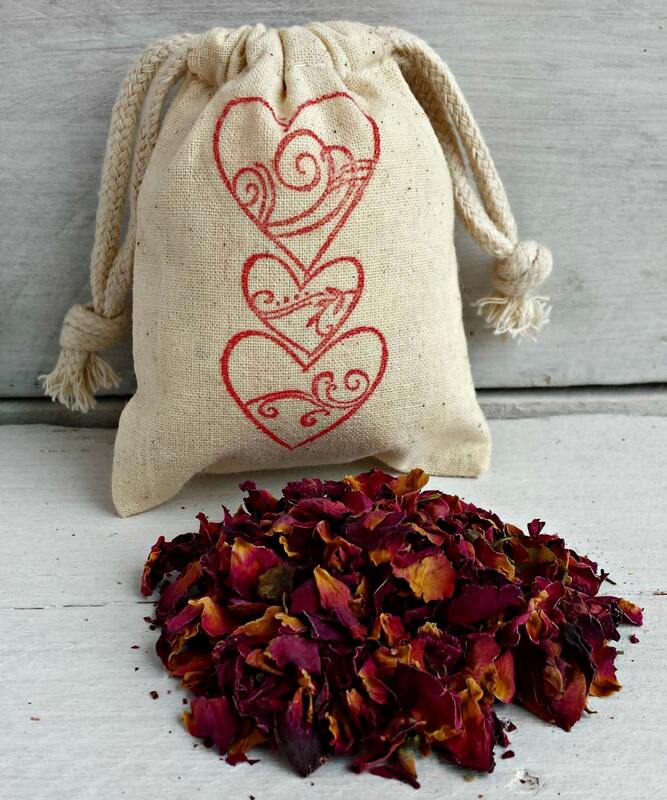 Organic Herb Sachets in Muslin Bags: This listing is for one sachet filled with dried rose pedals with a stamped red heart print on the front. These items arrived quickly and were exactly as described. The scent isn't the most strong, but they do smell lovely. I appreciate the detail in the bags, as well as the care put into shipping. Awesome! Very fragrant....sends a pleasant aroma throughout the room. Will definitely order more in the future.